Depending on whom you ask, terroir—that “taste of place” that makes a Bordeaux taste like a Bordeaux, or a Rhône like a Rhône—might be one of the most defining characteristics of a wine, or it might be a flat-out myth. 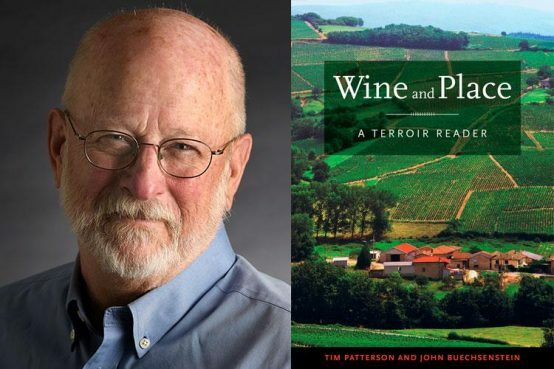 Everyone has an opinion on the controversial topic of terroir, and wine educator John Buechsenstein‘s new book Wine and Place: A Terroir Reader is out to make sense of it all. Co-edited with wine writer Tim Patterson, Wine and Place is a collection of voices and points of view from a diverse cross-section of the wine world. From winemakers to wine critics, from science to literature, this comprehensive anthology lets readers come to their own conclusions about terroir. Join us in the Grange for a conversation with the author (and a glass of wine, of course!) as part of our Luminarias series, hosted in collaboration with the Healdsburg Literary Guild. John Buechsenstein is a winemaker and educator. He is an award-winning faculty member at UC Davis, a Culinary Institute of America instructor, and the former president of the American Society for Enology and Viticulture. He has extensive experience making wine in the Napa Valley and on the California coast. The Healdsburg Literary Guild has pursued its mission to enrich the cultural environment of the greater Healdsburg community through the literary art for decades. The Guild served the greater Healdsburg area by sponsoring the Literary Laureate honor. It also has conducted a literary venue since 2000 when the Guild started hosting the monthly Third Sunday Salon. In producing Luminarias, the Guild seeks to bring the best literary talent in the world to one of the world’s truly great communities.